CoNLL-U is a Stanford format used to annotate texts in syntax (notably dependency trees). The annotated texts can be used for machine learning tasks in Natural Language Processing. The tool permits to edit easily the syntactic tree structures in a web browser. This software is under the 3-Clause BSD License. 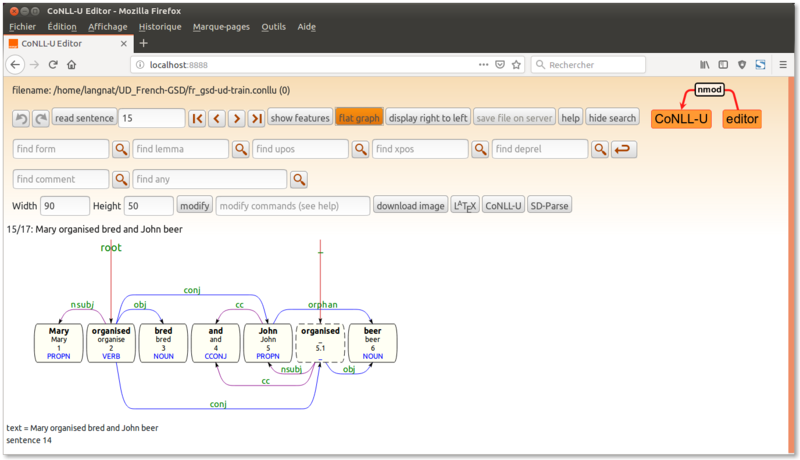 ConllEditor is now available on Orange-Opensource Github.